What do you get when you have a music producer hubby and a singer/songwriter mom and you want to announce your pregnancy via YouTube? This amazing parody of Meghan Trainor's "Lips Are Movin" called "Our Family's Growin." In this video, Beckah Shocklee, known for her stage name as an American Christian pop singer, Beckah Shae, let her family in on this baby-to-be performance. 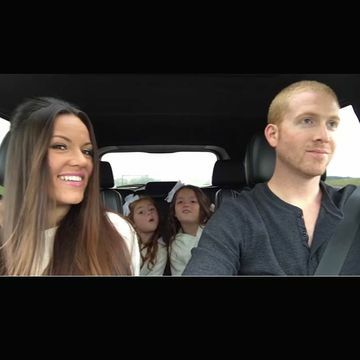 In this sweet video, 37-year-old Beckah, her husband Jack and their two daughters, Joy and Grace, sing along to carefully selected lyrics. You gotta hand it to Beckah—whose voice is pretty incredible—and the lyrics are spot on.